I have mixed feelings when it comes to South Indian food. There are days when I can't stand the smell of Sambhar and then there are days when I hog Idlis like candies. But there's more to South Indian food than just idli and sambhar. It is ok to have fun with food once in a while and Idliss does just that. I found it while driving around with my mom around the campus area and decided to give it a try. It is a cozy little joint with two storeys, ground floor has the kitchen and simple stools for the hurried and the hungry. The first floor is more spacious with somewhat comfy seating where you can chill with friends. There was ample natural light during the day, thanks to the huge glass window. The walls are hand painted in colours that are bight and soothing at the same time. The ambiance is nothing extra-ordinary but I liked its cheerful simplicity. We ordered a cold coffee (they serve original coffee from DePaul's, what a win! ), a Mix-Veg Uttapam and my favourite of all- The Idli Manchurian. The cold coffee was just what I needed in the hot afternoon. 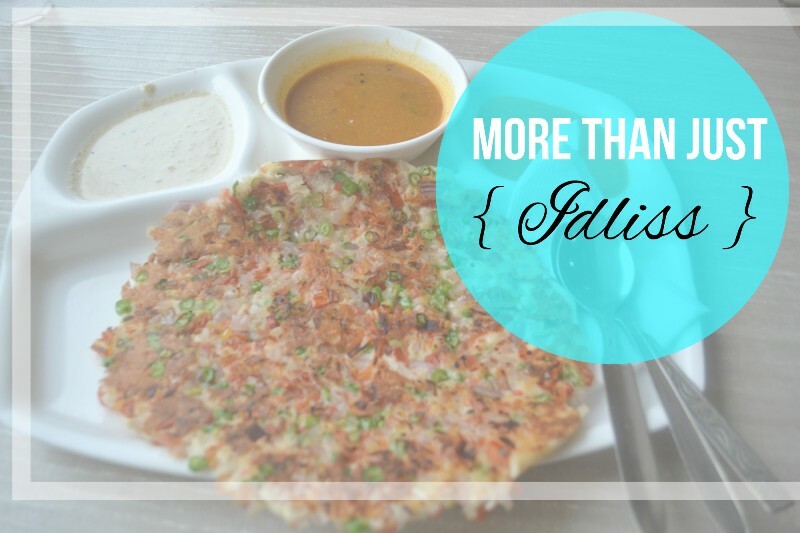 Idliss makes a hearty Uttapam loaded with veggies that is crisped to perfection. I loved the tangy sambhar and the classic coconut chutney. I usually avoid the garlic chutney served in most of the South Indian restaurants but this one tasted quite nice with the Uttapam. The idli manchurian had a little too much soya sauce according to my preferences, but tasted exactly like dry manchurian without any Cabbage (I'm not a fan of a cabbage) ! It is basically fried idli tossed in a typically hot, garlic manchurian sauce and garnished with fresh greens. Enjoyed this one the most. There's a good amount of options if you feel like having something North Indian. It is a good place for grabbing a quick, inexpensive meal that's also decently presented. Idliss has other outlets in Vijay Nagar and Gurgaon.